Selfish / Disclose ‎– Selfish / No More Pain! 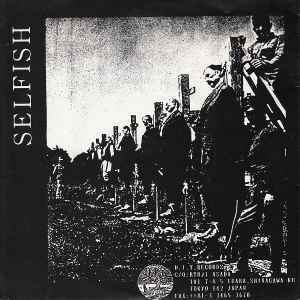 The label sent the wrong master tape to the pressing plant and as there was no test pressing ordered all one thousand copies of the split ep have wrong songs by Selfish on their side. The band claimed it a misspress but as it was already pressed they agreed to the release. There is no disclaimer on the record. The three songs on the actual release are: 1) System kills, 2) Anthem, 3) Patriotism isn't an excuse. Only the following repress of another 1000 copies has the correct three songs.